Here are the most frequently asked questions about Computer Delivered IELTS exam. Is Computer Delivered IELTS easier than paper based IELTS? 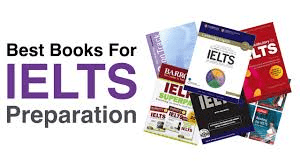 There is no difference in the level of questions between paper based IELTS andComputer Delivered IELTS. However, if your hand writing is poor, and you are good at using a computer, it might be better to go for Computer Delivered IELTS. Can I get any paper to take notes during the Computer Delivered IELTS test? Yes, a single sheet of A4 paper and a pencil will be provided to take notes during the test. In paper based test I like to read the next section's questions in listening in advance. Can I do the same in Computer Delivered IELTS? You can use the side bars to navigate. They also have the numbering in the bottom of the page to change section. You can also press tab to proceed to the next question. Would I be able to highlight something in listening and reading? No. In listening you just have to listen and can't highlight anything. You can highlight text in the reading section. Can I use tab (button) for moving to next question or do I need to use mouse click every time? Is there 10 minutes spare time at the end of the listening test to transfer answers to the screen? No. You type your answer straight away using the keyboard during the listening test because there is no time to transfer answers. You only have 1 minute to check answers at the end.